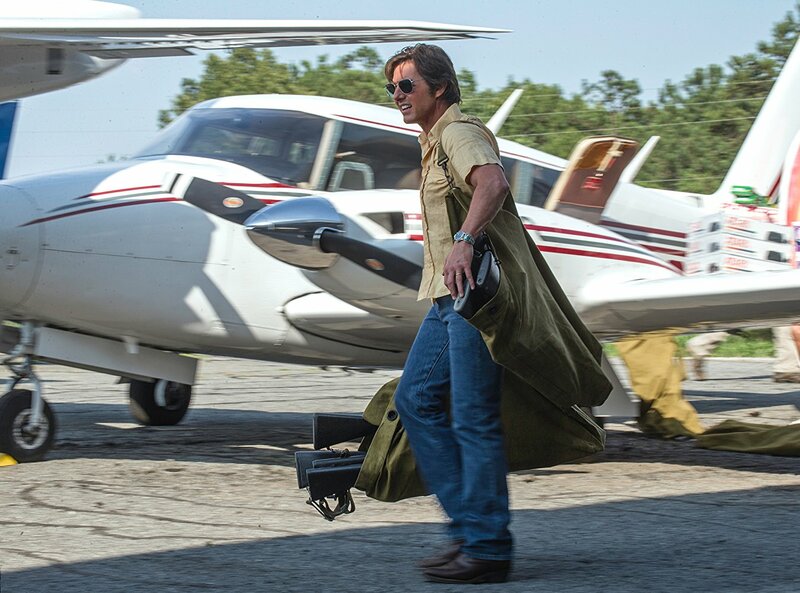 American Made is a biographical crime film directed by Doug Liman, written by Gary Spinelli and starring Tom Cruise The Movie is set in the 1980’s and follows the exploits of Barry Seal, a former TWA pilot who became a drug smuggler at the time making more money than he knew what to do with. The Movie is based on the true story of this American super pilot and features Cruise doing what he does best in what seems like the perfect role for him to show what has kept him at the very top of the acting world for so long. The Story follows the life of Barry Seal a former TWA pilot who is initially signed up by the CIA to perform low flying photography missions for them. These missions sow the seeds that eventually lead to Seal beginning his multi-million dollar drugs and arms smuggling empire. American Made is very entertaining to watch and has to be one of Cruises best for a while. The comparisons will of course be made with the Wolf of Wall St and that is certainly justified as both movies are true stories based on the main characters becoming filthy rich from there illegal activities. They are also both really good movies with fascinating story lines that ultimately lead to a very entertaining trip to the movies.